Well, we never made it to the garden store. After some mid day cleaning, we were on our way there after just picking up a base for our outdoor umbrella. However when leaving the patio store parking lot my hubby decides to back my car into a curb dislocating the muffler. There was some serious rattling going on so we figured it needed to go to the shop. Luckily my sisters boyfriend offered to take a look and managed to put the muffler back where it belongs. PHEW! Other than a few small scraps the car is okay. After than I didn't feel like going to the garden center. I just went to the bulk barn and stocked up on a few things for some future baking. 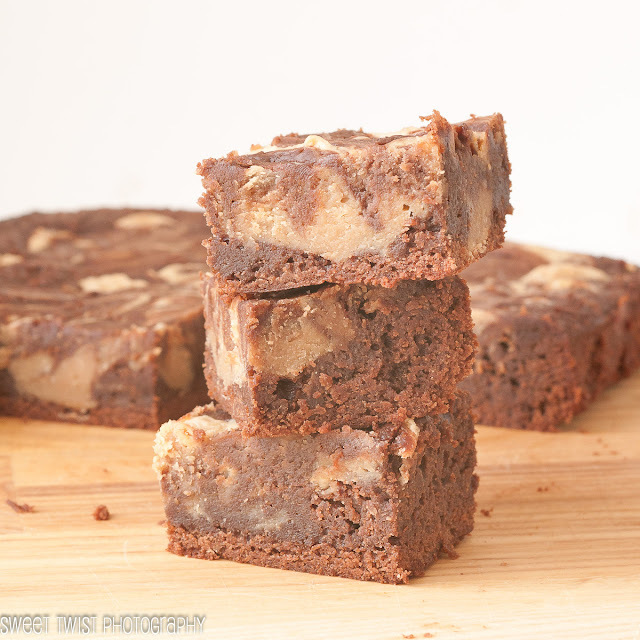 I think there is no better way to get yourself out of a baking lull other than brownies. 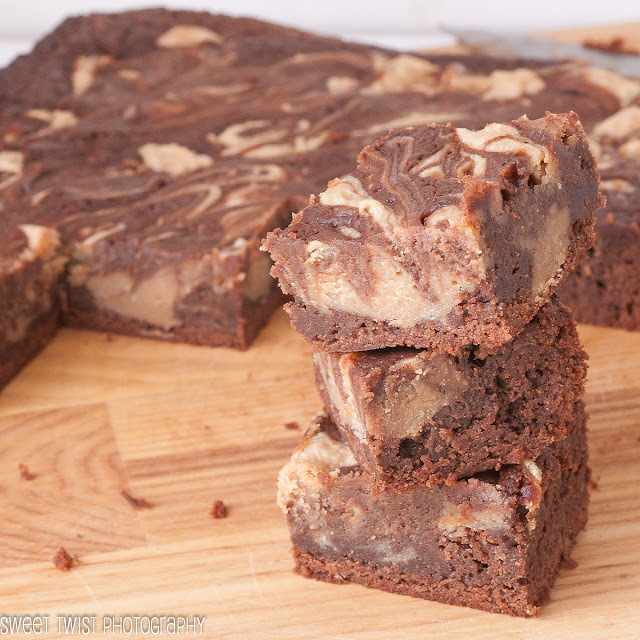 Fudgy brownies with peanut butter cream cheese swirl. 1) Preheat oven to 350F. 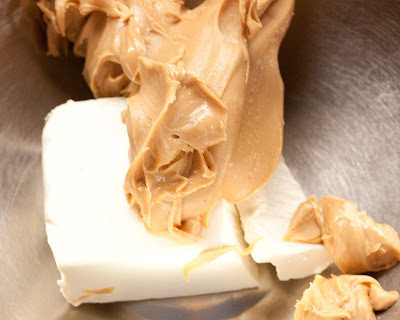 Melt butter and dark chocolate in a heat safe bowl over a double boiler. Set aside to cool. 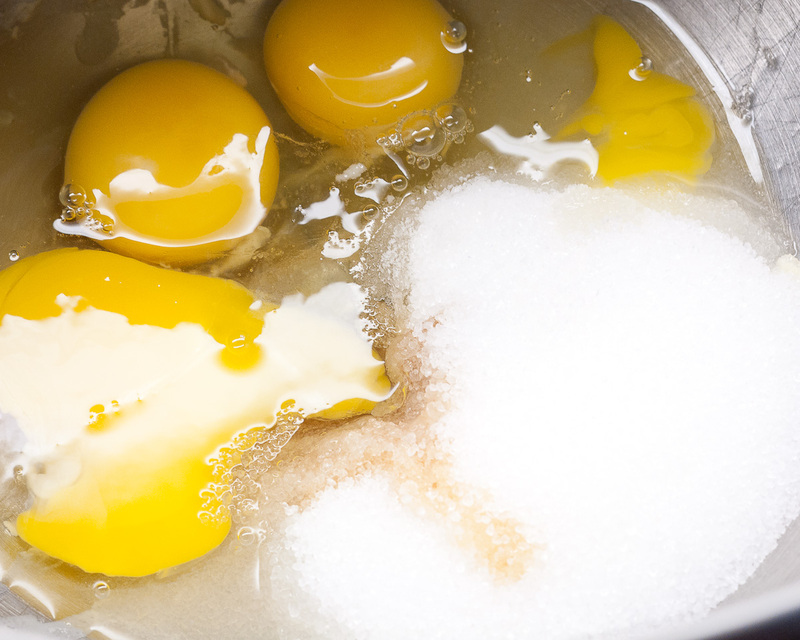 2) In a large bowl or mixer bowl , whisk together eggs, sugar, xylitol and vanilla. 3) Add cooled chocolate mixture and whisk until combined. 4) Fold in flour, salt and cornstarch. Pour into a 9 inch square pan lined with foil and sprayed with non stick spray. 5) In a medium bowl add peanut butter, cream cheese and vanilla and beat together. 6) Add icing sugar, beating to combine and add egg, combine again. 7) Using a small ice cream scoop add 12 heaping rounds into the brownie mixture. Then using a knife swirl around the mixture. 8) Bake for 30 minutes, toothpick will come out mostly clean. Brownies will be fudgy. These look AMAZING! Yum!!!!! Peanut Butter!? And Cream Cheese!? MMM! Thank you so much for adding these to eRecipeCards. Love your posts and look forward to every submission! BTW, deadline for our O Olive Oil cooking contest is today. Would love to see what you can do with pressed citrus oils in a dessert. One of the rare contests which will happily ship products to Canada. Interested?? ?